Bomb at Mogadishu shopping mall. A car bomb exploded at a shopping mall in Somalia’s capital, killing two people and injuring four others in an attack probably by Islamist group al Shabaab, police said. “So far, we know two civilians died and four others were injured. 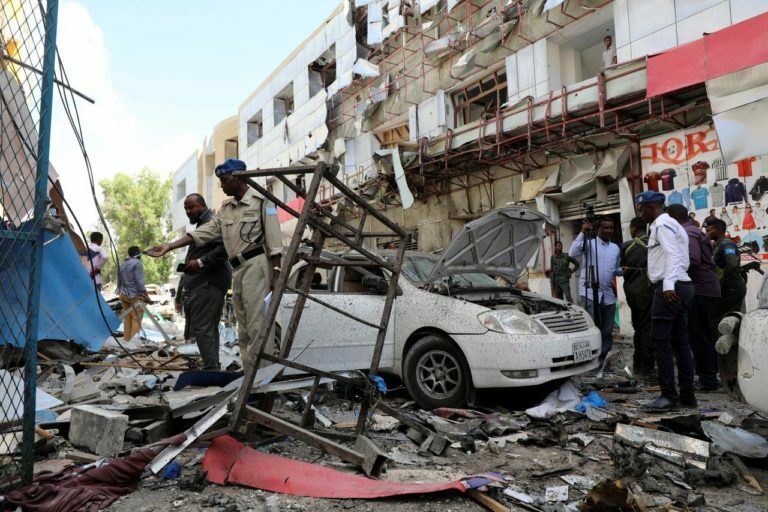 It was a car bomb that exploded in front of a Mogadishu shopping mall,” police officer, Mohamed Hussein, told Reuters. A Reuters witness saw one dead person, and four cars burned with a restaurant destroyed. Al Shabaab frequently carries out bombings in Mogadishu and elsewhere in Somalia against government and other targets. Al Shabaab militants also attack outside Somalia, especially in Kenya to pressure it to withdraw troops who are part of an AU peacekeeping force that helps defend central government.